In a video that is circulating online, a man can be seen sitting on the ledge of a HDB block before jumping off the ledge and plummeting several floors down, as emergency officers rush to rescue him. It is unclear exactly when the incident occurred. 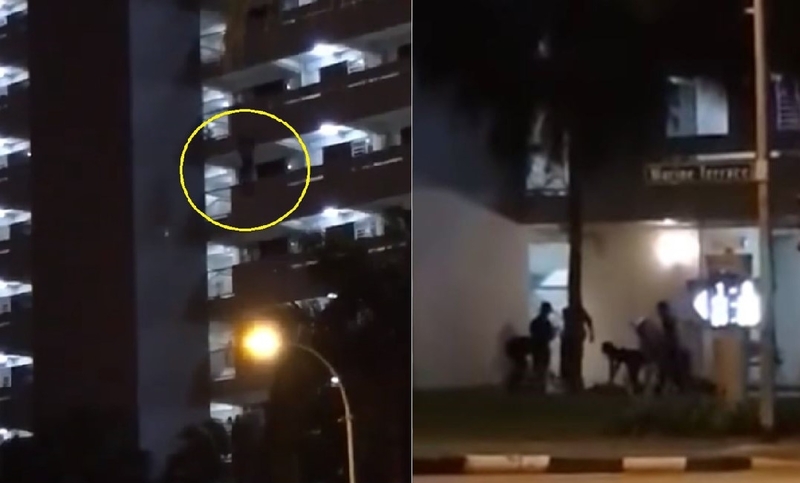 The video shows that the incident occurred at Marine Terrace in Marine Parade GRC. 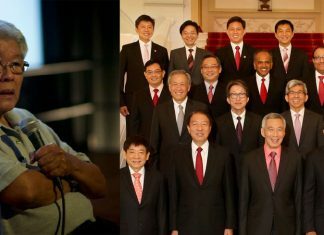 In the video, that was taken by eyewitnesses across the street from the HDB block, a man can be sitting on the ledge of a corridor. Towards the end of the video, the man lifts himself off the ledge and falls down several floors to the foot of the block. As the men taking the video express shock, several people at the void deck of the block rush forward to help the man who fell. The people who rushed forward to help look as though they are emergency officers. A Singapore Civil Defense Force (SCDF) vehicle can also be seen at the vicinity. The Independent will not link the video of the incident here due to its graphic nature. This is a developing story. The Independent has contacted the Singapore Police Force for comment and will update this story as more details are released.